Westbrooke House is a late Victorian property built in 1887. 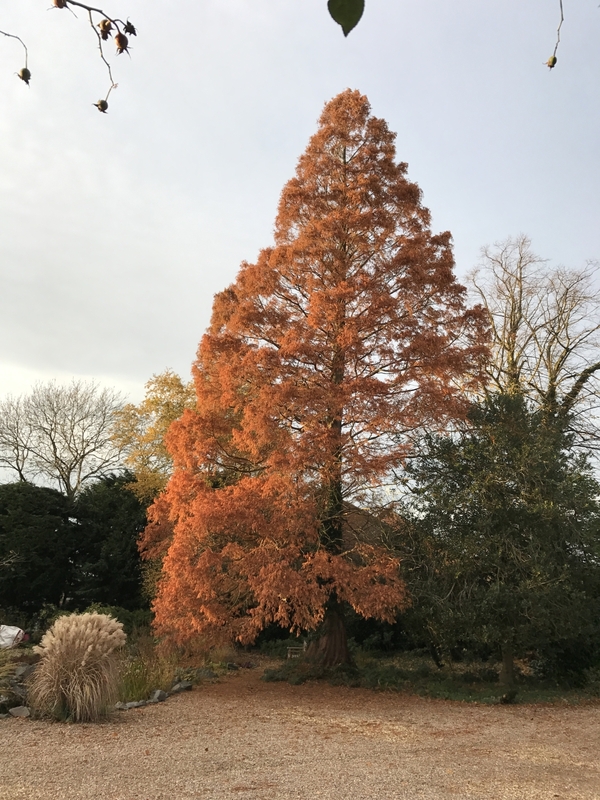 The gardens comprise 6 acres in total and are approached through a tree lined driveway of mature limes and giant redwoods. 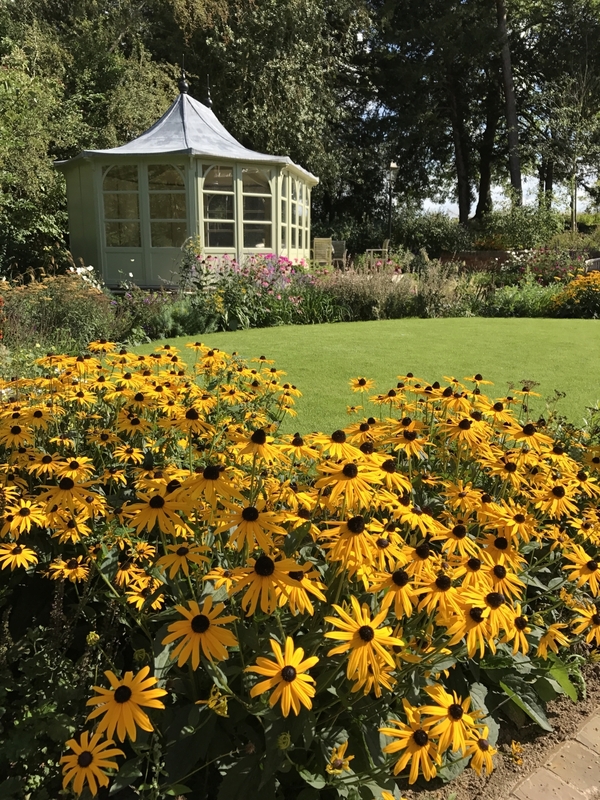 Key features are walled flower garden, walled kitchen garden, lower garden, pond area, spring garden, lawns, woodland paths and a meadow with a wild flower area, ha-ha and hornbeam avenue. 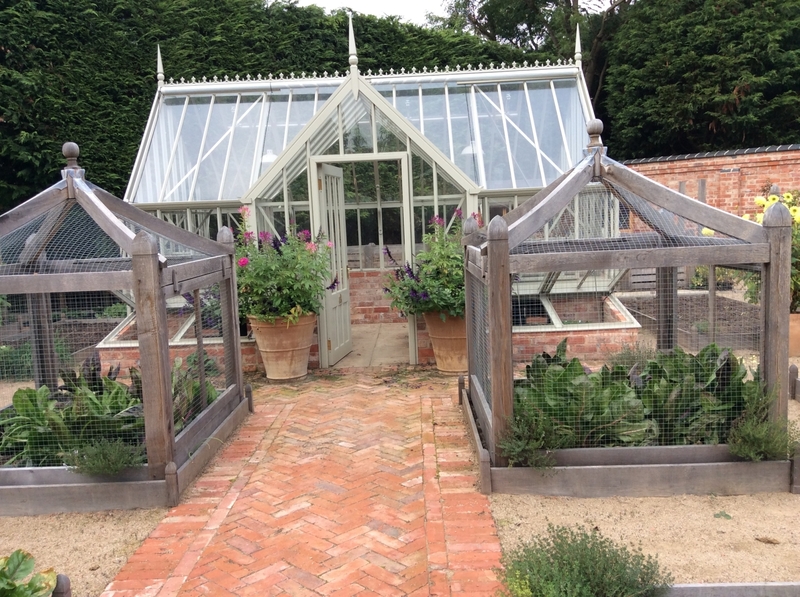 The victorian walled flower garden was redesigned and replanted in 2014 along with the kitchen garden with it's raised beds and cloches. The perennial border around the main lawn is planted with oranges, yellows and reds, and leads to the woodland path. 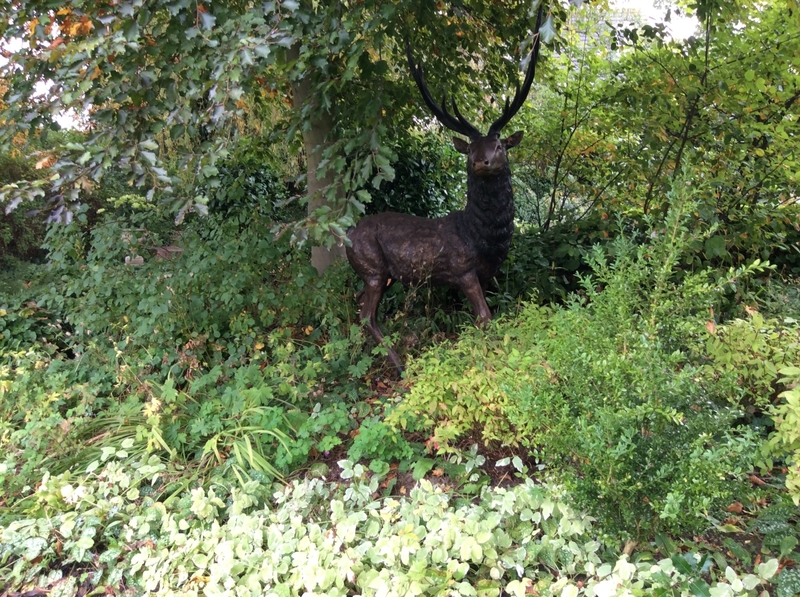 The Spring garden with 'Sid the stag' leads to the new (Sept 2017) orchard greenhouse. Access to the bluebell woodland area to the front of the property is under a weeping willow tree and over a river bridge. 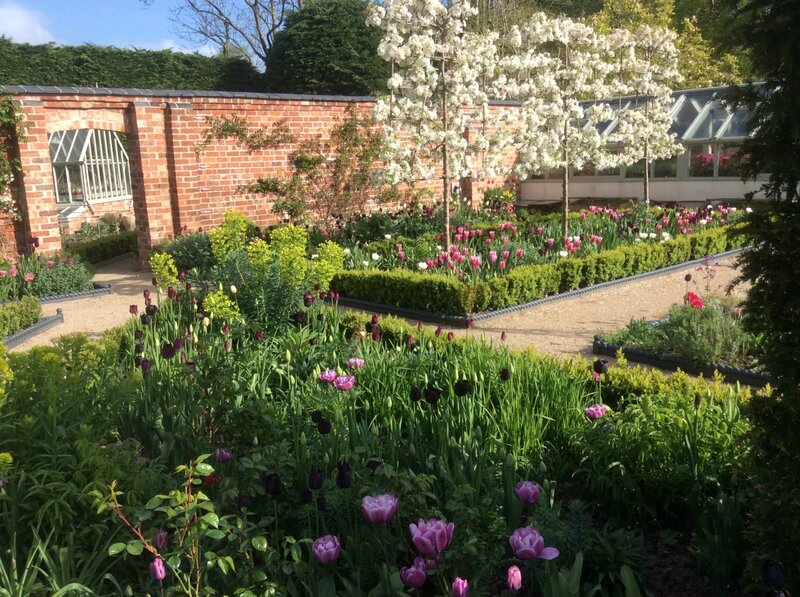 The walled garden will feature over 7000 new tulips. 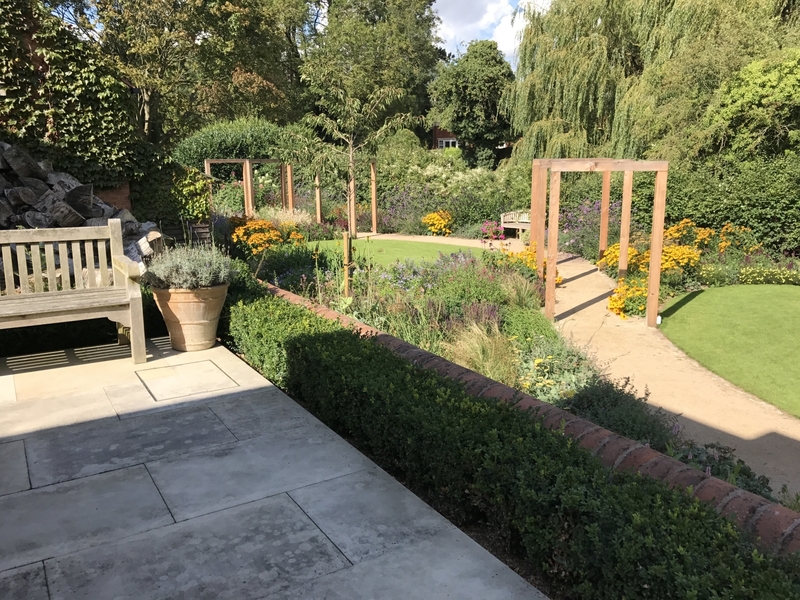 The new lower garden was re-landscaped and planted in May 2017 and features perennial borders,summerhouse and commissioned slate water feature and rill. 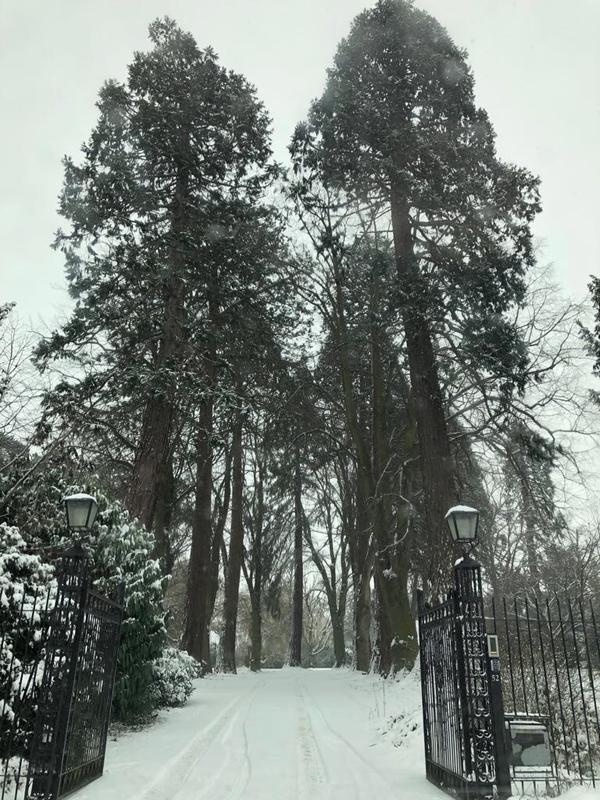 New for 2019 - classic yew hedge with gated entrance to south lawn and meadow. 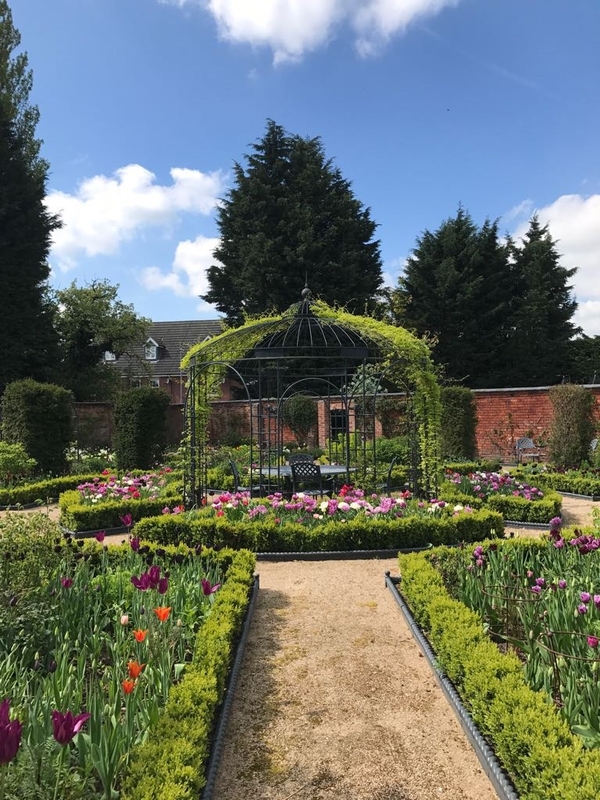 - 7000 tulips planted by Christmas 2018 ready to show at our May opening. - Bluebell woodland area planted with a fern pathway. From Northampton Rd follow NGS arrows.